When I was about six years old, my parents divorced. I lived with my mom and visited my dad on the weekends. Like most children of divorce, my mom had to work two jobs to make ends meet. That meant that when we got home from school, mom was at her first job but would have to go straight to her second job afterward. My brothers and I were latchkey kids and ate a lot of frozen dinners and prepackaged stuff. However, on those occasions that my mom was home, she would make baked chicken. Nothing fancy, just skin-on bone-in breasts slathered in butter then doused with salt and pepper and baked to juicy perfection. Each time I make it I think of her. If you’ve been reading this blog for even a few months, you may remember my birthday cake post that I dedicated to the memory of my mother. I promise to keep the tears out of this one, but just know that whenever I make this dish it reminds me of her. Mine is a little different as I add fresh herbs from my garden and use freshly ground black pepper in mine. 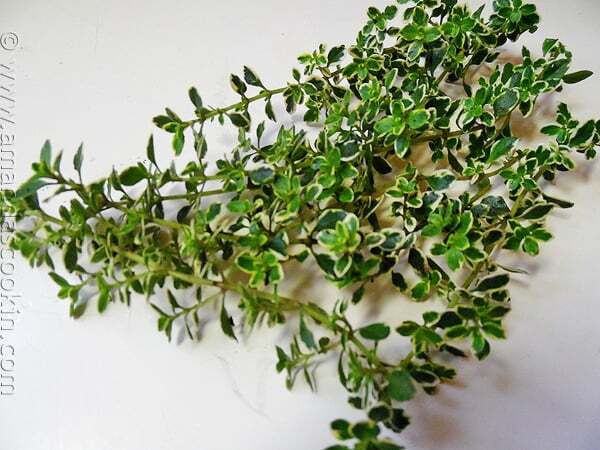 Lemon thyme is a perfect compliment for chicken dishes. I’ve actually tweaked it even further now that I’ve found this new Olive Oil & Sea Salt Butter from Land O’ Lakes. Land O’ Lakes asked if I would like to try it out and I thought of this recipe immediately, it’s perfect for it! The butter itself has olive oil and sea salt in it, so I was able to eliminate the additional salt I normally add. This is such a great comfort food for me. The memories of my mom and my life with her while she graced this earth all come pouring back every time I make it. God how I miss you momma. I still struggle with the “why”. I make potatoes with this too. I have a double oven, but if you don’t, you can certainly roast them together on separate racks, or even in the same pan. Just note that you may have to adjust the cooking time and you may want to put the potatoes in about 10-15 minutes after the chicken. Be sure to melt the butter and mix it with your herbs first. This will allow time for the butter to soak up some of the lemon flavor from the fresh thyme while your are readying the chicken. 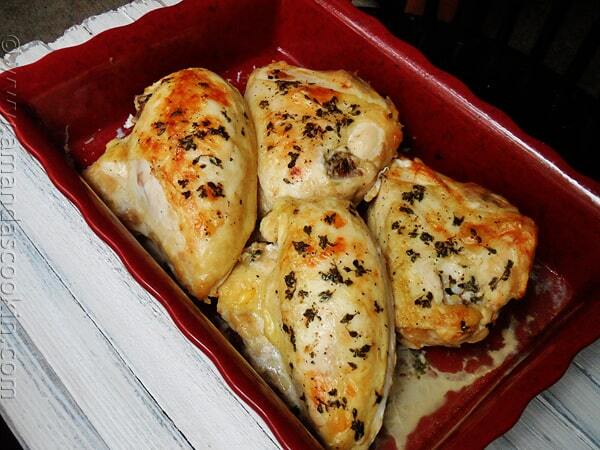 While the flavors are melding, rinse and dry the chicken breasts and place them in a roasting pan. Brush the skins with the melted butter and bake uncovered 45-55 minutes. If you use very large chicken breasts, use a roasting pan with a wire rack to allow the meat to sit above the bottom of the pan. Because it will require a bit longer to cook, your butter and any fat drippings from the chicken skin could begin to smoke, so add about a cup of water to the bottom of the pan before placing in the oven. 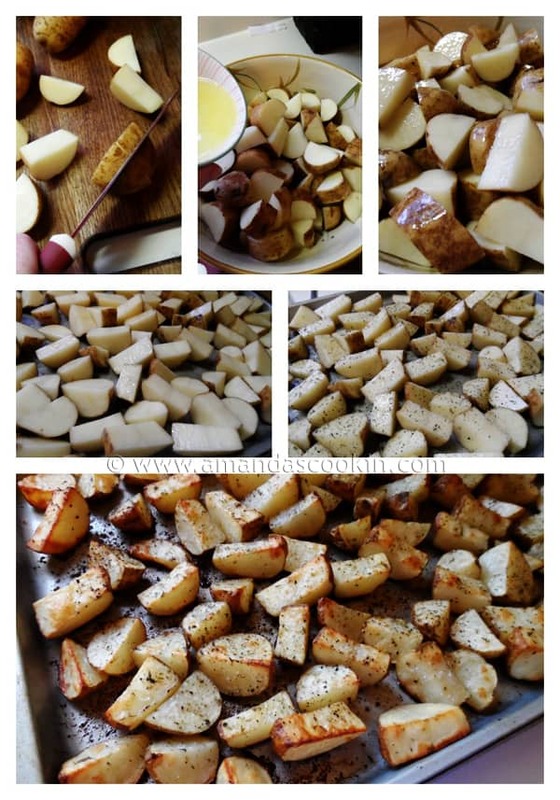 For the potatoes, simply melt some of the Olive Oil & Sea Salt butter in the microwave, toss it with your cut up potatoes, then spread on them on a cookie sheet skin side down. 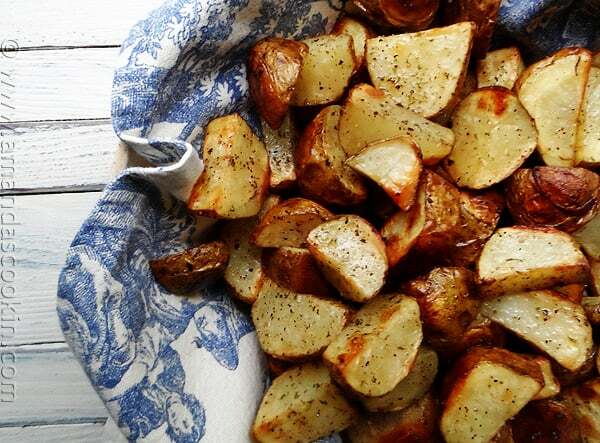 Sprinkle with pepper and any herbs you might like and bake at 450 F for 30-40 minutes, or until golden and tender. I’m not the only one cooking with this! Please be sure to visit Betty Crocker for more fabulous blogger recipes using this delicious butter! Preheat oven to 450 ° F.
In a small bowl, melt butter in the microwave. 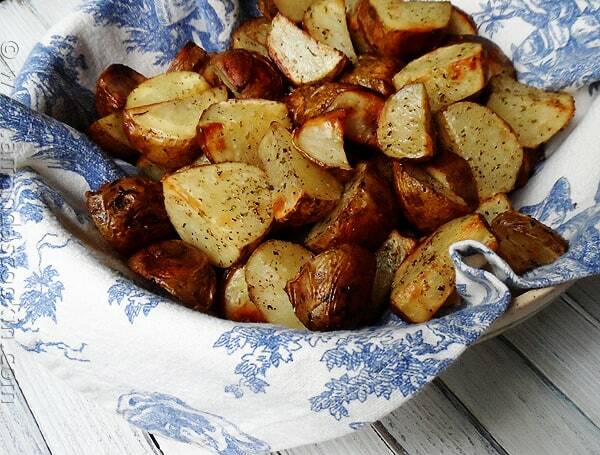 Add thyme leaves and freshly ground pepper to the melted butter and stir. Set aside to allow flavors to meld and butter to cool. Rinse chicken breasts and pat dry with paper towels. 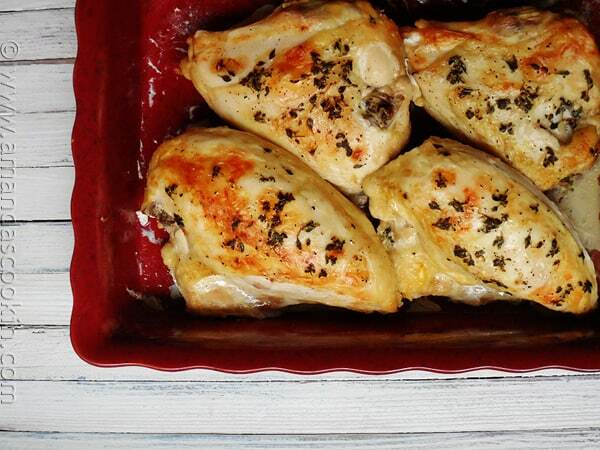 Place chicken breasts, breast side up into roasting pan. Brush melted butter all over the surface of the chicken. 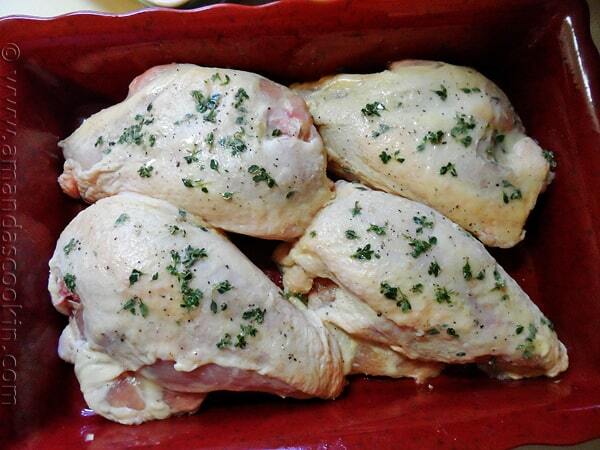 Sprinkle any thyme remaining in the butter dish onto the chicken. 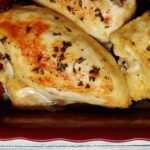 Bake uncovered 45-55 minutes, or until juices run clear and chicken registers 165 ° F. Time will vary based on the size of your chicken breasts. 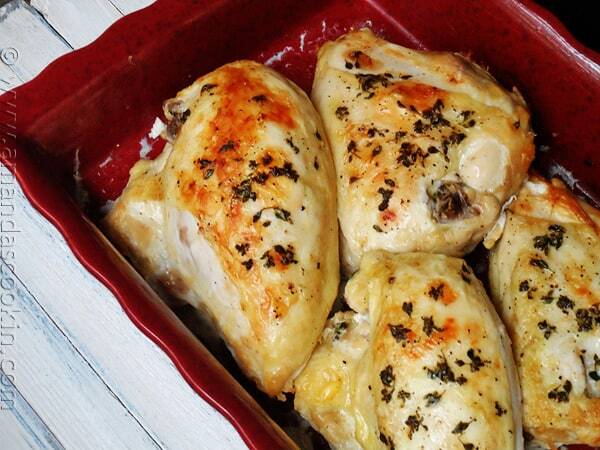 Remove from oven and allow to rest for 5-7 minutes before serving. Be sure to melt the butter and mix it with your herbs first. This will allow time for the butter to soak up some of the lemon flavor from the fresh thyme while your are readying the chicken. Land O’ Lakes compensated me for this post, but al opinions on their product are 100% sincere and my own. That “John Doe” person don’t even have the courage to use his own name! I’d ignore comments from him & anyone else that feel like he does. Personally, this chicken sounds really good to me. I’m not one to use herbs so I may not use the thyme. So, you just took the stock pictures and receipe from the Betty Crocker website, added a touching story and voila, food expert. I do love how you took the “Expert tips” from the website, and changed the heading to “notes from Amanda”. Also love the whole “this blog is my copyright, do not copy/paste without credit”. Though I doubt I will get one from you after such a rude an accusatory comment, I will accept your apology. I was 8 when my folks split up, so I know where you are coming from. We lived on TV dinners and as a treat, maybe some fried potatoes and eggs. I lost my Mom 33 years ago, at age 30, and nothing pleases me more than to have my kitchen smell just like it did when Mom made chicken and homemade noodles on Sunday. These great, simple, home-cooked meals are some of the best. It’s great that every time you make this, you remember your mom. I can only imagine what a comfort that must be, even if it is hard to remember. This looks great. I never buy skin on/bone in chicken though. But do want to try it with skinless/boneless. I’ll have to look for that butter. Added to pork sausage sounds fabulous! 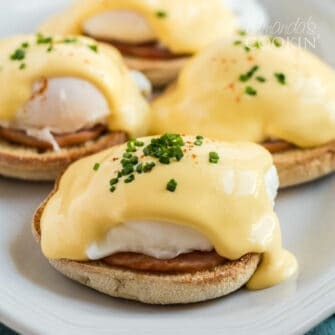 This looks delicious and easy enough for my 14 yo son (who’s taken an interest in cooking) to do on his own. I’ve printed it for him and we’ll have it this w/end. Aww Amanda I’m sorry you don’t have your mom anymore. I truly understand the connection of food and family. I just lost my dad last year and his favorite thing was a Reuben. I only made them when he came to visit (which was about 4 times a year). I don’t think I’ll ever be able to eat another one again. I will however have to make this chicken! Amanda, What touching tribute to your mother. 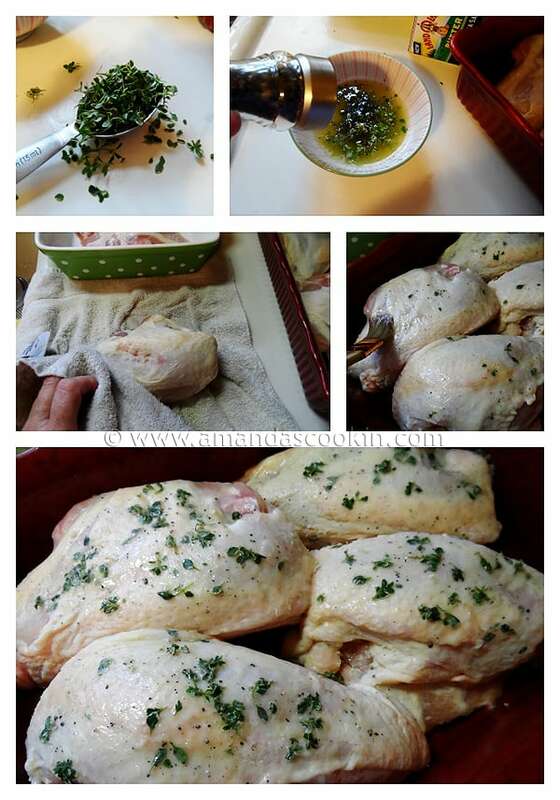 I’ve got to try this method for roasting chicken… it looks juicy and delicious! Thank Sandy! It was very juicy, a family favorite! I am going grocery shopping this a.m. and will definitely try this. I never knew about the butter w/olive oil and sea salt. I can imagine useing this on all kinds of food dishes. Would be wonderful on corn on the cob, etc. I miss my Mom too and she has been gone a long time. You never forget all of the memories. By the way I love your blog and have tried many of your recepies. 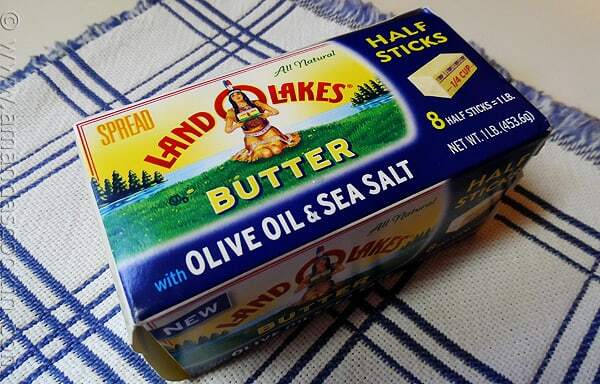 Land of lakes is my go to butter. I tried the chicken receipe. My oven is a castrophe! I lowered the temp, as we are at 6300 ft. in elevation. I used a rack w/water. It smoked so bad. Today I am cleaning the oven. Sorry won’t try this one again. I will, however, use the butter on other things. Oh no, I’m so sorry Kathleen! I wonder if it was because of the elevation?? Okay, you got a tear out of me, I can tell how much you miss your Mom. It’s amazing to me how people live on through food dishes, I love that. I have been dying to try this butter, it sounds like the perfect accompaniment to the chicken. I love that too Cathy! I do love this butter, so nice to actually have the salt controlled and built in too!